Home Cars Concept Cars at Auto Expo 2016 in India. 32+ User votes to help you find the best concept cars at auto expo 2016 in India. 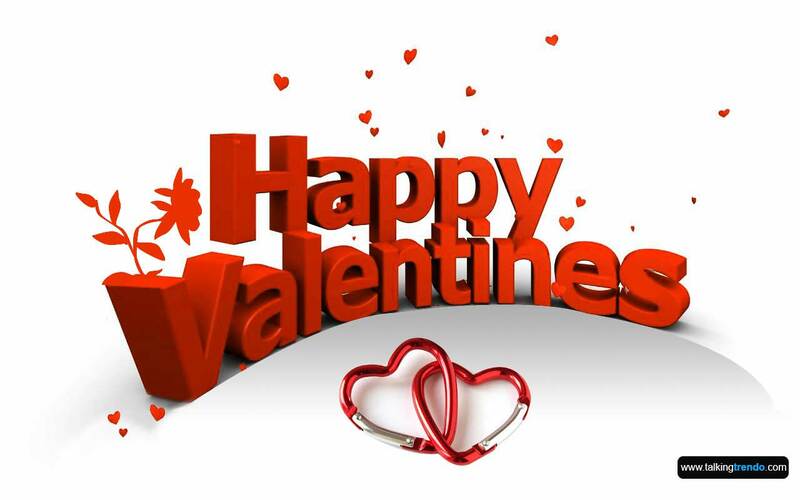 Today is The single biggest event of the India. 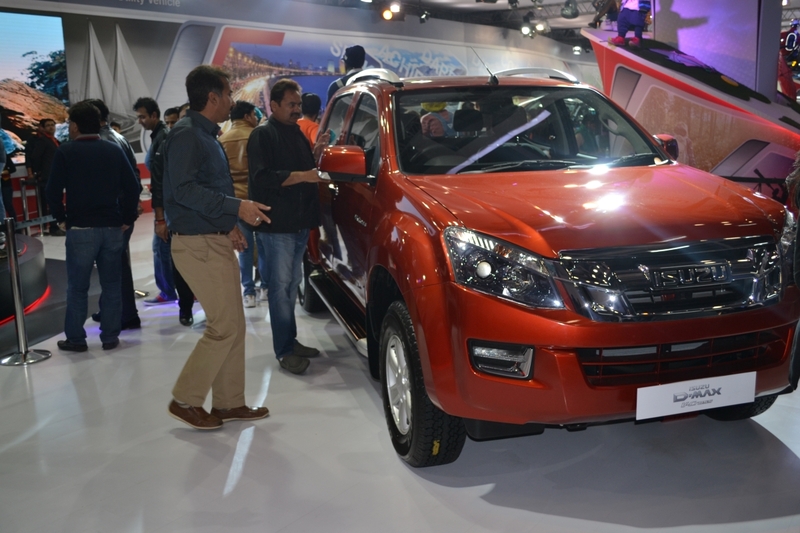 Automobile company kicks off the 2016 edition of the at Auto Expo. Almost all of the big names related to Car industry are attend at the venue. Showing their Concept Cars and current line-up as well as future products. Biggest sellers like Maruti and Honda showing their new new offering lined up for launch in 2016. Here, In this article, we have compiled a list of all the new cars at Auto Expo 2016. Which One is your best concept Cars. 1. Baleno RS :- Maruti showing at Auto Expo Baleno Rs a bid to further increase its market share in the premium hatchback space, Maruti Suzuki is now ready to bring in a more powerful version of the Baleno to attract enthusiasts. The thyme of the more powerful version, Baleno RS, will be Showcased at the Auto Expo 2016. 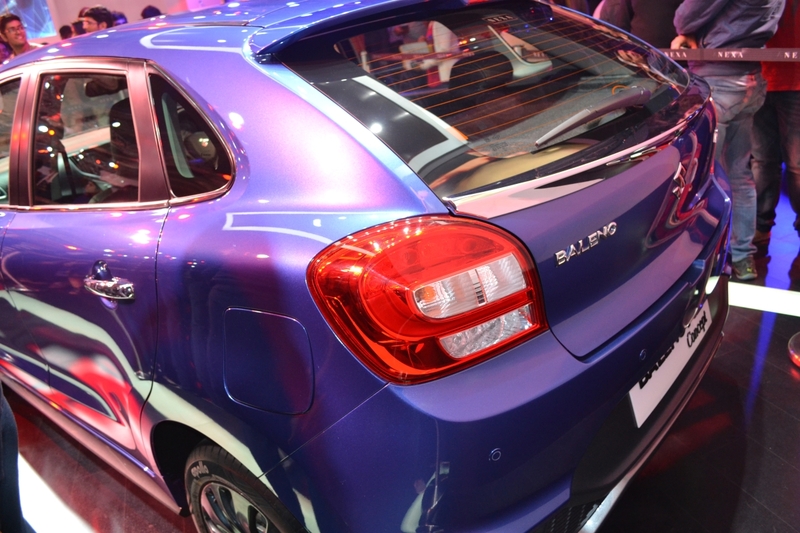 The Baleno RS is powered by a 1.0-littre Booster-jet turbocharged engine series. This engine is good for 112 bhp and 175Nm. 2. Maruti Suzuki IGNIS :- Maruti Suzuki shares resemblance with Suzuki iM-4 concept, Which is showing in Auto Expo in Noida. Maruti Suzuki Ignis sub-compact is fully prepared its india debut at 2016. Price range of IGNIS is (Rs. 8 lackh to 10.29 lakh). In India might be it will offered with two diesel engine 70bhp, 1.2-litre, 3-cylinder and 90bhp, 1.5-litre. Suzuki Ignis is powered by a 1.2- litre Dual-jet petrol with the SHVS (Smart Hybrid Vehicle by Suzuki) mild hybrid system. It will be churns out a maximum power of 89.75bhp and 120Nm of torque. The same engine with ISG (Idle Stop & Go) system delivers additional 3.08bhp and 50Nm. 3. 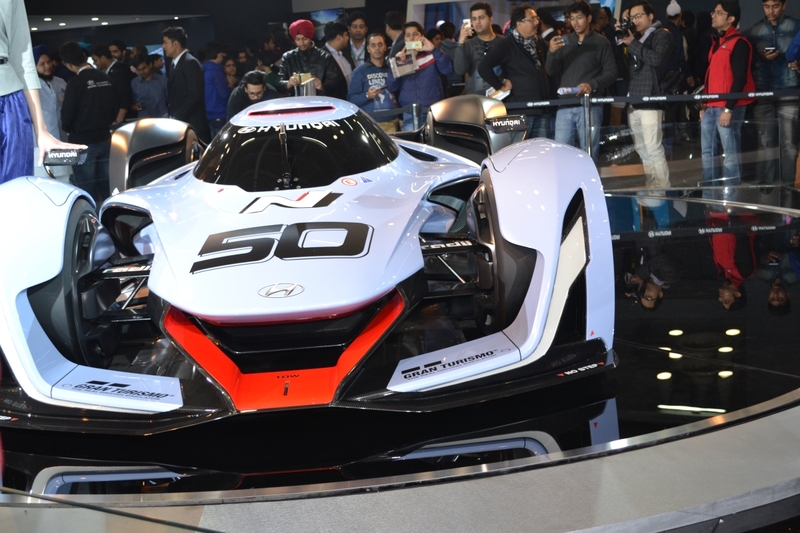 Hyundai N 2025 Vision Gran Turismo Concept :- Hyundai prepared for taste of their ‘N’ performance sub-brand by showcasing the N2025 Vision GT Concept at the 2016 Auto Expo. 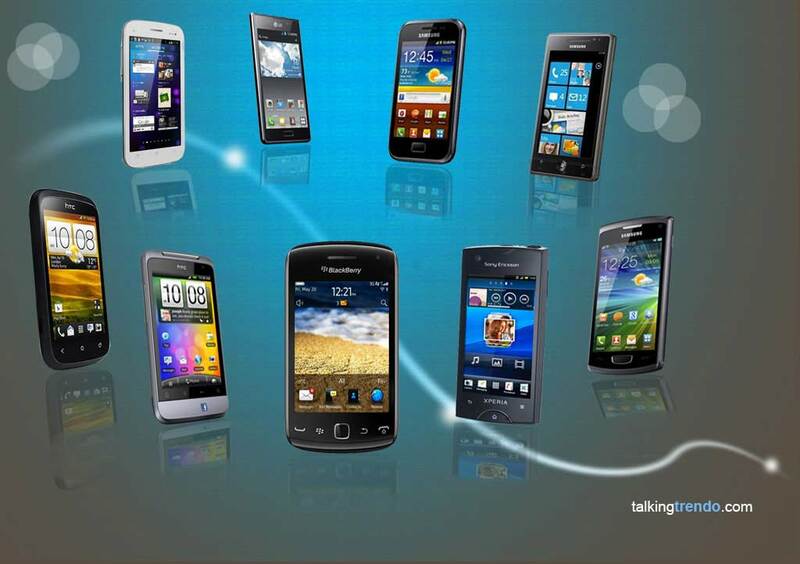 This is a great futuristic concept key to be one of the biggest crowd attract at the event. Total system power 871hp. 0-100km/h in just 2.8 sec. Max. Speed 340 km/h. Weight 972 Kg. This is the most exotic super cars in the world. Furthermore, low center of gravity and IIDC (Independent In-wheel motor Drive Control) make this a car that can be best enjoyed on a challenging racetrack, which is what “N” sub-brand cars are all about. 4. New Beat Concept :- Chevrolet now ready to show New Beat Concept in India. 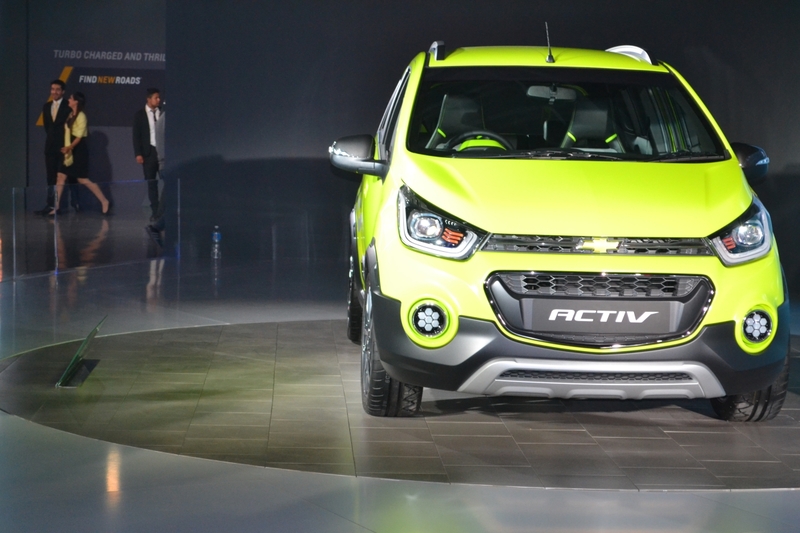 While the next generation Chevrolet Beat that was unveiled last year won’t make it to India, a highly modified version of the Current Beat is expected to go on sale here in future as soon as possible. In Auto Expo 2016 Chevrolet Showing the upcoming design study features several styling cues from the International-spec model. By nature, a concept gives designers and engineers free rein with ideas and the ability to experiment with technology and materials without the burden of production-focused regulations guiding their every decision. Concept cars offer a peek into the soul of a manufacturer and often portend future design directions. And of the dozens of concepts that emerged this year, these are the very best. 5. 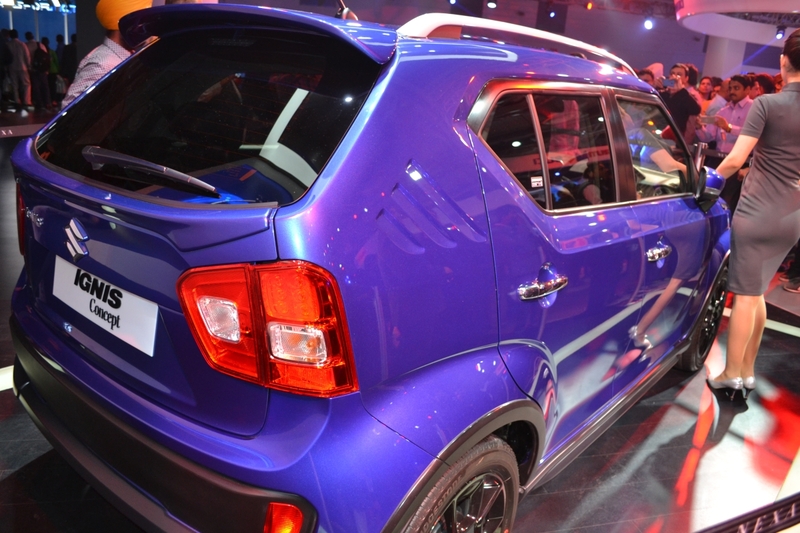 Datsun Go-Cross :- Datsun Go-Cross Comes to Auto Expo, Launch in Q1 2016. The India-bound Datsun GO Cross could feature a 1.2-litre, 3-cylinder, 12V, DOHC diesel engine that also powers the GO+ MPV. Since the Datsun GO Cross is based on highly localized low-cost platform, it will be priced aggressively against its rivals like Mahindra KUV100. The all-new GO Cross is likely to be offered with two seating options- a 5-seater and a 7-seater. 5-seater Datsun price could be offered within the price range of Rs. 5 lakh – Rs. 10 lakh (ex-showroom). The engine powered by a maximum of 64.1bhp (65PS) at 5,000rpm and a peak torque of 140Nm at 4,000rpm. Transmission could be a 5-speed manual gearbox. The company hasn’t yet revealed the engine details of the vehicle.Mileage of Datsun Go Cross Estimated 18kmpl – 20kmpl. 6. Tata Hexa :- Tata Hexa Makes Global Debut at 2016 Auto Expo based on the modified Aria platform, The Tata Hexa SUV makes its global debut on 3rd February at Auto Expo 2016. Tata’s new SUV is expected to launch by the second half of the this year. Since This Hexa SUV will be could be a tough competition for Mahindra XUV 500. We expect it to be priced between Rs. 10 lakh – Rs. 15 lakh (ex-showroom). The Tata Hexa comes powered by a 154.2bhp, 2.2-litre engine, 4-cylinder VARICOR. 400 diesel engine with 6-speed manual, and an optional 6-speed automatic transmission. It comes with the 4WD drivetrain system, Power of 4,000rpm and 400Nm of torque between 1,700rpm – 2,700rpm. The Hexa will come either with the RWD (rear-wheel drive) or AWD (all-wheel drive) system. It comes with four driving modes – Dynamic, Comfort, Automatic and Rough-Road. Estimatedly Hexa gives 12kmpl – 15kmpl mileage. Key futures are of Hexa is it comes with Six airbags, Rear Parking Sensors with Camera, Projector headlamps and LED illumination for ambient mood lighting. 7. 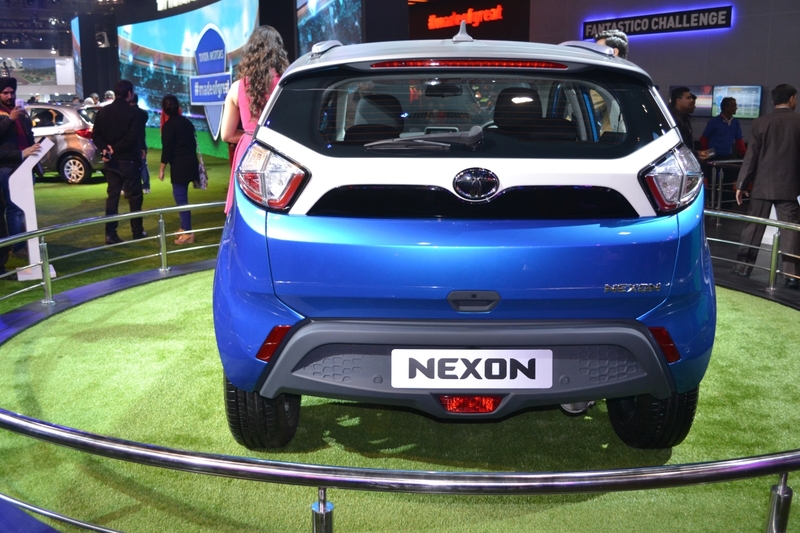 Tata Nexon :- Tata Nexon Compact SUV Displayed at Auto Expo 2016 on 3rd February. 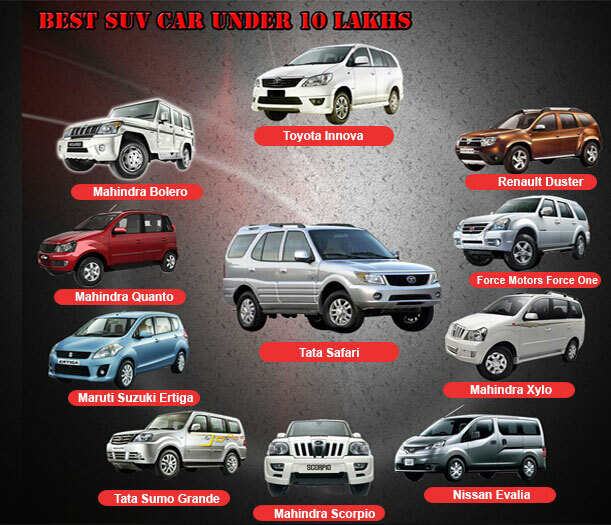 SUV cars are highly recommend for all Indians now days. All big companies are ready to move and focusing in SUVs market, reason behind is demand of it. SUV cars are booming now days. 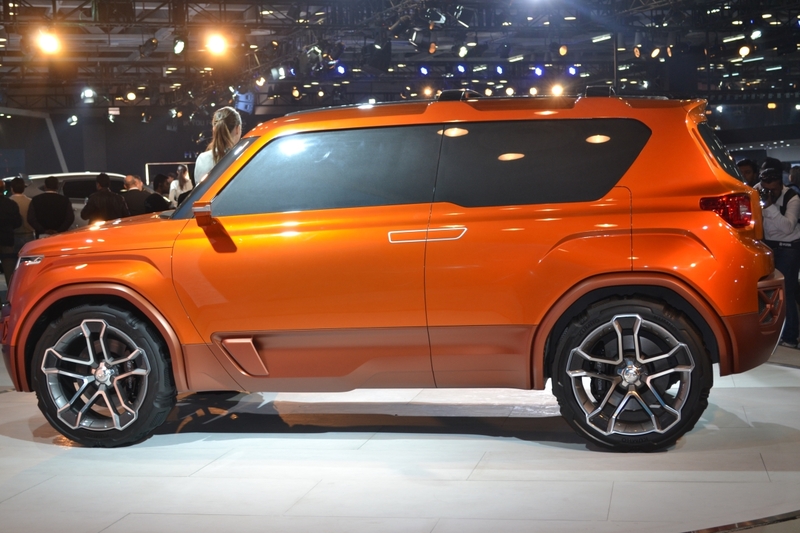 So hare are another SUV from TATA motors. Nexon will be available in two varients Patrol and Diesel. The new all-aluminum Revotron petrol with 1.2-litre, 3-cylinder turbocharged, and a 1.3-litre Multi-jet diesel engine. Tata’s upcoming Nexon compact SUVs target market comprises of family oriented people. Unlike TUV300 and EcoSport, this sub-compact SUV will be carrying a coupe-like profile combined with Tata’s signatory strength and functionality. Transmission Options 5-speed manual with F-Tronic AMT (only on the diesel variant). Key futures of Nexon is Projector headlamps, 16” Alloy Wheels, A Full Width Instrument Panel, Harman-developed infotainment system and Over 200mm Ground Clearance. Talk about price range so this compact SUV is likely to be priced as low as Rs. 6 lakh for the base variant, and Rs. 10 lakh for the top-end model. 8. Mahindra XUV Aero :- Another XUV Aero from Mahindra Concept Makes Debut at Auto Expo 2016 on 4th February. 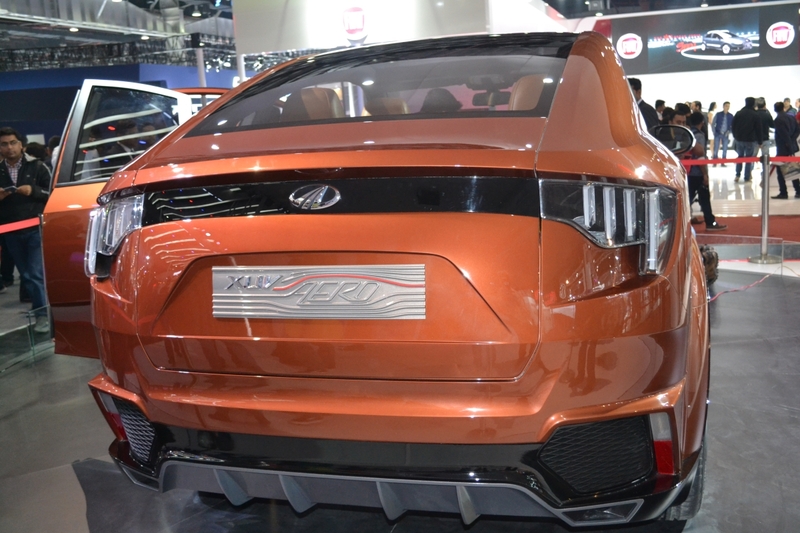 Mahindra XUV Aero coupe-like SUV concept has been developed by Mahindra’s Indian design team with inputs from Pininfarina. This all-new SUV concept will soon used for the company’s flagship product in future. The Mahindra XUV Aero coupe-like SUV will be positioned above the Mahindra XUV500. Though the Mahindra not revealed the launch date of the vehicle, it is likely to launch in the market by the next year. Engine Type- 2.2 litre m-Hawk diesel with produce the power of 210bhp with 6-speed manual and 6-speed automatic. Drive Modes are Race, Off-road, Street and Sport. The Aero Concept Key Features are like Aggressive styling, Flared wheel arches, High-positioned rear end, Integrated high resolution touchscreen, Multiple infotainment settings and Multi-zone climate control. Price range of Mahindra’s new XUV Aero is expected Rs. 20 – Rs. 25 lakh (ex-showroom). 9. Kwid Concept :- Renault India Unveiled two of It’s Concept cars at Auto Expo 2016, based on hatchback car Kwid One is Renault Kwid Climber and other is Kwid Racer. 10. 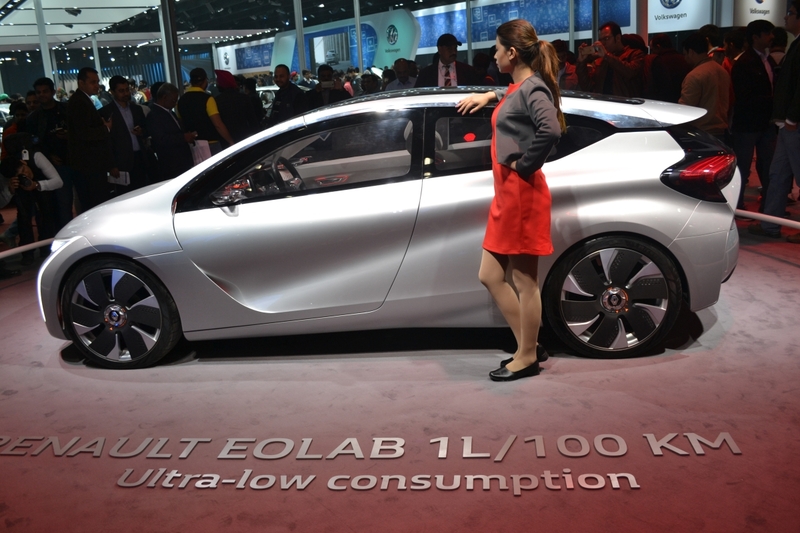 Renault Hybrid Eolab :- Renault showcased hybrid Eolab concept car at Auto Expo that could run 100km in just 1litre fuel. The Eolab is basically hatchback segment car. The concept car has built on a B-segment vehicle platform and integrates technology that helps it achieve extremely low fuel-efficient car. This car combined a petrol engine with an electric motor in a compact vehicle format, The only thing crazier than the styling is the mileage figure. The Eolab is powered by a 1-litre, 3-cylinger petrol engine which producing 75bhp and is paired with 53bhp electric motor that sits in the clutch casing. The transmission is automatic, and while the car runs on electric power in the first and second gear, it switches to petrol in the higher gears. The Eolab weights just 995 kilograms and the roof is made from magnesium and the fllor is made from carbon fiber. Renault claims that Eolab could enter production by 2022. 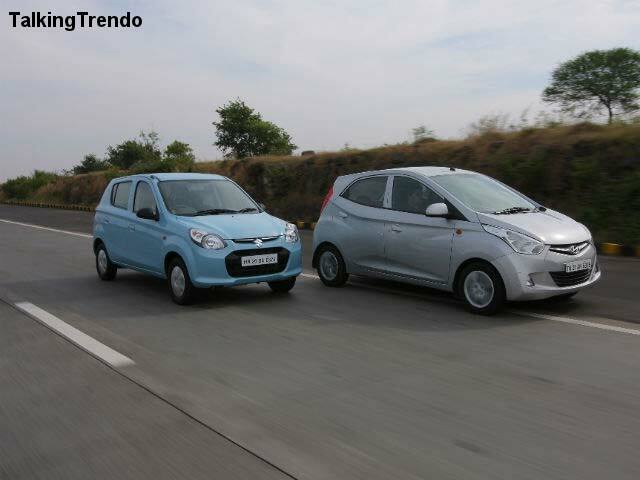 As of now, the hybrid hatchback doesn’t have any rivals in India other than the Toyota Prius. 11. 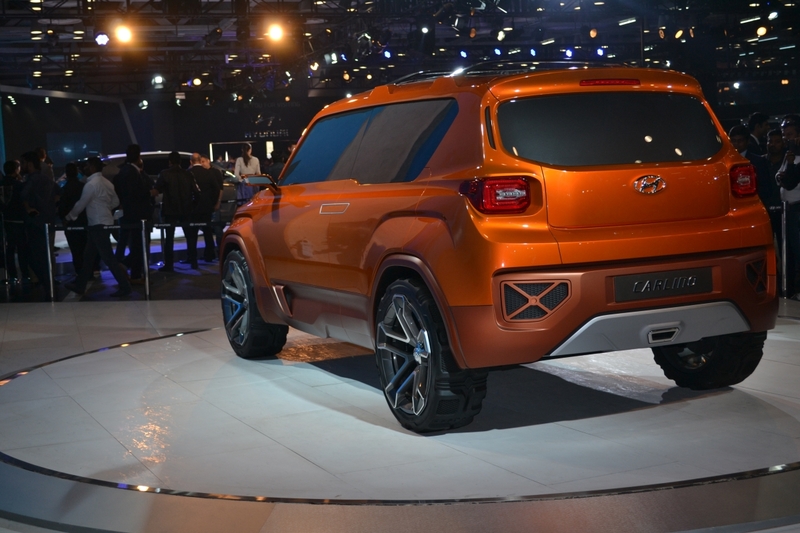 Hyundai HND-14 Carlino :- Hyundai Carlino sub-4m SUV concept Unveiled in Greater Noida at Auto Expo 2016. India’s second leading car company said that in a statement that the concept has been penned at its Namyang design center in Korea and that it is a design study for a car in the Indian market. Hyundai Creta already sells in the popular B-segment cross over market. Unfortunately, the show car is a hard model, so there’s no interior to speak of. No other details have been revealed either, but it is rumored that the Carlino will be headed to production next year – based on the Creta and powered by either 1.2 litre petrol and 1.4 diesel engines. Mated to either a five-speed manual or a four-speed automatic. 12. 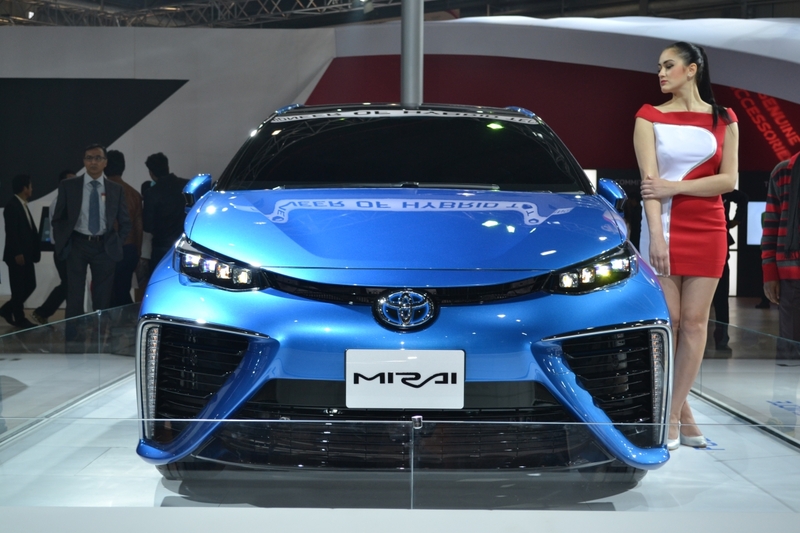 Toyota Mirai :- Another concept car from Toyota named is Mirai. Powering the future Hydrogen fuel cell vehicles could change mobility forever. H2OPE (The Hydrogen Society and Energy Sources of Future). Around the world, efforts are being made to harness the power of hydrogen, the most abundant element in the universe. Recognizing hydrogen’s vast potential as a clean energy source, Toyota is actively developing and producingfuel cell vehicles (FCV). Hydrogen can help us contribute to the next 100 yrs of the automobile. Mirai has a total range of 502km (312 mi) on a full tank, with a combined city/highway fuel economy rating of 66 mpg-US (3.6 L/100 km; 79mpg-imp) equivalent (MPG-equivalent), making the Mirai the most fuel efficient hydrogen fuel cell vehicle rated by the EPA, and the one with the largest range. 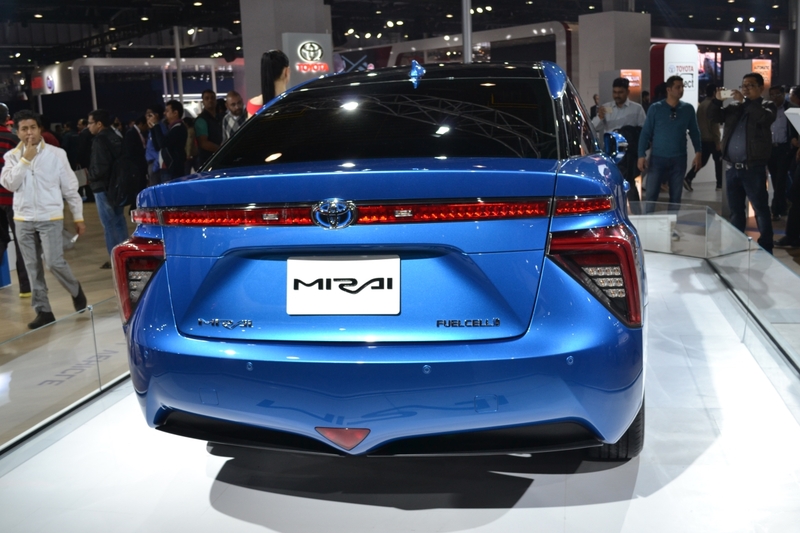 The Mirai features the Toyota Fuel Cell System, which combines fuel cell technology with hybrid technology. The Mirai emits only water vapour at the tailpipe. Power for the system is understood to be around 135bhp, Toyota making comparisons to a typical petrol-engined family saloon, and a refuel of the hydrogen tanks takes around three minutes. 13. 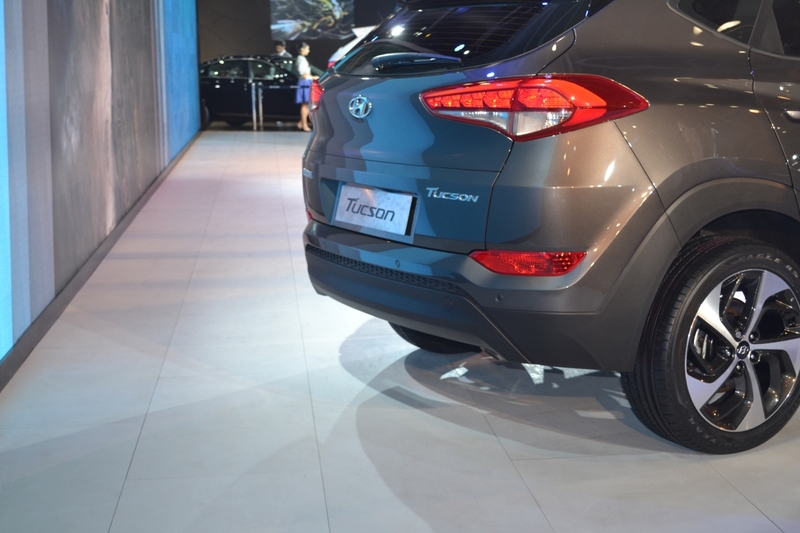 Hyundai Tuscon :- Hyundai India showcased the latest generation Tuscon that is sold internationally. The Korean car maker is planning to bring back the SUV to India by in 2016 to take on the Honda CR-V. 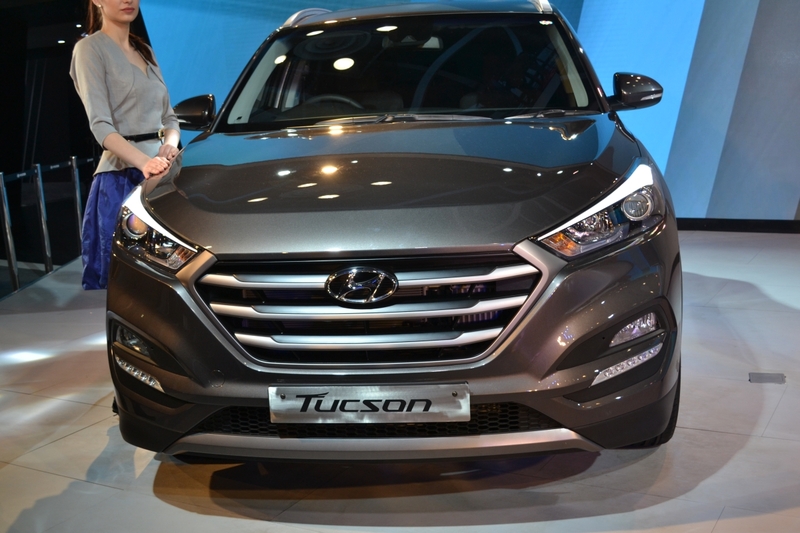 The new Tuscon will be positioned between the Santa Fe and the Creta small SUV. The car will fill the slot between Creta and Santa Fe. The 2016 Tucson flaunts contemporary vision with the hexagonal grille, dual projector LED headlights, LED DRLs at front, 19-inch alloys on the side profile and at rear, the wraparound tail lights and high-mounted spoiler. Inside, this new mid-sized SUV gathers an 8-inch touchscreen infotainment unit and an advanced AC system. The car is powered by 2.0L diesel CRDi that churns out 182.5bhp while the 1.7L CRDi produces 114bhp. Engines are further paired to a 6-speed automatic or manual gearbox with the choices of FWD and the AWD. Price will be approximately 17.0-lac. 14. Hyundai Genesis G90 :- India’s second largest passenger car manufacturer, Hyundai Motors India Limited (HMIL) is thinking out to bang with an all new complete luxury sedan Hyundai Genesis in Indian auto bazaar by December 2010. Hyundai India has plans to increase its presence in the luxury segment and to showcase its capabilities, the Korean manufacturer displayed the Genesis G90 sedan. Built to rival the likes of the Mercedes-Benz S-Class, the G90 boasts of the highest levels of luxury and technology. Although they do not have any immediate plans to launch the sedan in India, it may eventually make it to our market in the future. The Genesis can be fitted with the buyer’s choice of 3.8-liter V6 or 5.0-liter V8. The V6 produces 311 horsepower and 293 lb-ft of torque, while the V8 is good for 420 horsepower and 383 lb-ft of twist. Both engines shift through a Hyundai-designed eight-speed automatic transmission. Rear-wheel-drive is standard, while the V6 can be ordered with an optional all-wheel-drive system that enhances traction in adverse weather conditions. Fuel economy is rated at 18/29 city/highway mpg for the RWD six-cylinder model, 19/25 mpg for the AWD six-cylinder variant, and 15/23 mpg with the V8. 15. 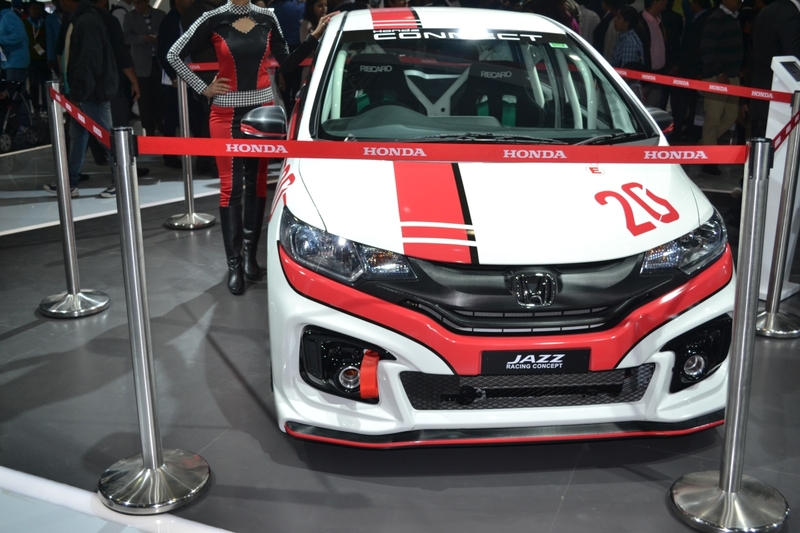 Honda Jazz Racing Concept :- Honda Cars India revealed a track-focused Honda Jazz Racing Concept at the Auto Expo 2016 today. It’s likely a one-off concept built for attraction. 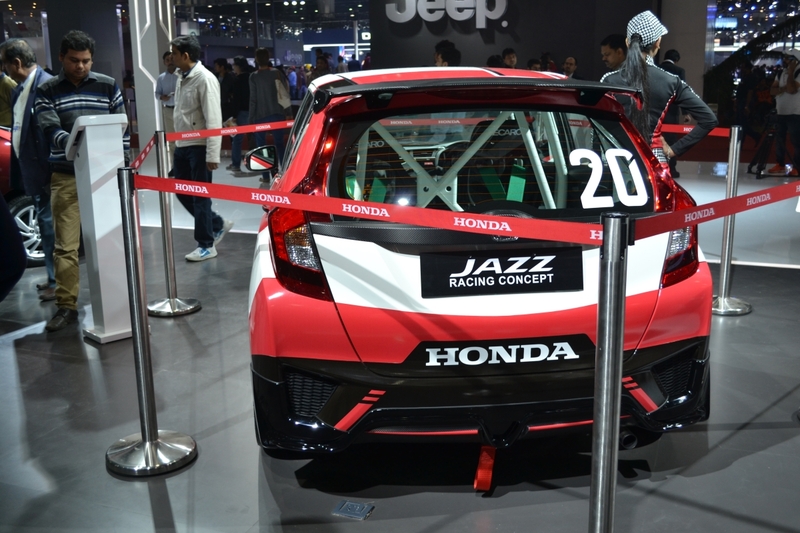 The Honda Jazz Racing Concept features sporty body kit, towing handle in the front bumper, red stripe vinyl, Bridgestone Potenza racing tires shodding 5-spoke alloy rims, front splitter, side extensions, carbon fiber accents, fixed rear wing, and a single pipe exhaust tip. Inside, the Jazz Racing Concept is stripped to the bare minimum. The rear seats and trim have been removed, while the fabric front seats are replaced with Recaro bucket seats. The steering wheel has also been ditched for an alcantara upholstered MOMO steering wheel, and the center console features a kill switch. A roll cage is also fitted within the cabin for protection. Being a concept, details on the powertrain do not exist. The regular Jazz is available with a 1.5-liter i-DTEC engine producing 99 bhp and is mated only to a 6-speed manual gearbox, while the petrol variant has a 1.2-liter i-VTEC unit producing 90 bhp and is mated to a 5-speed manual with an optional CVT automatic. 16. 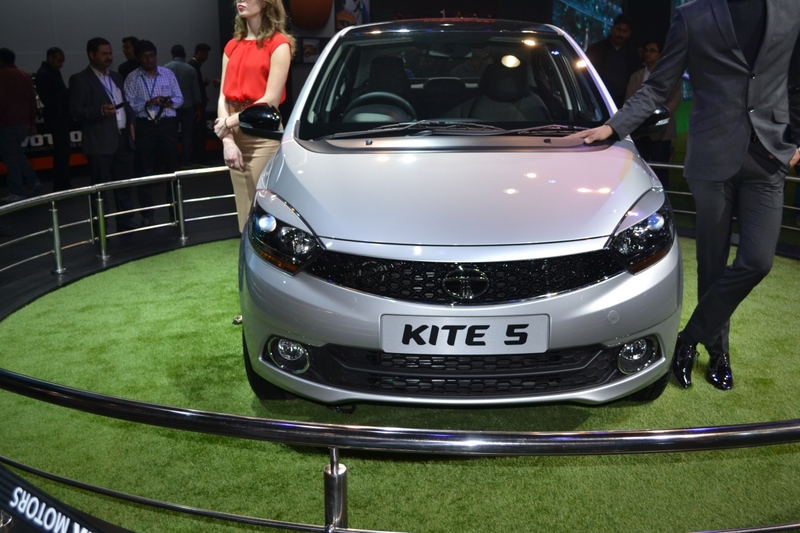 Tata Kite 5 :- Tata Kite 5 concept unveiled at Auto Expo 2016. The upcoming Tata Kite 5 compact sedan will be a logical replacement for the very successful, but now dated, Indigo eCS. Tata Kite 5 compact sedan launch is still some time away from us and while this car’s debut has taken place at the Auto Expo 2016, our guess is that the Tata Kite 5 compact sedan aka Zica sedan launch will take place only around August this year. 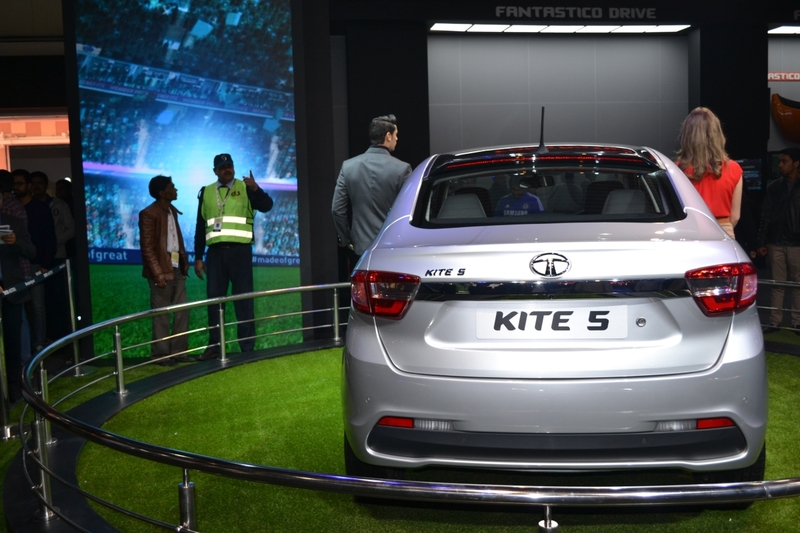 our guess is that the upcoming Kite 5 compact sedan will go on sale for roughly INR 4.2 lacs (ex-showroom). 17. 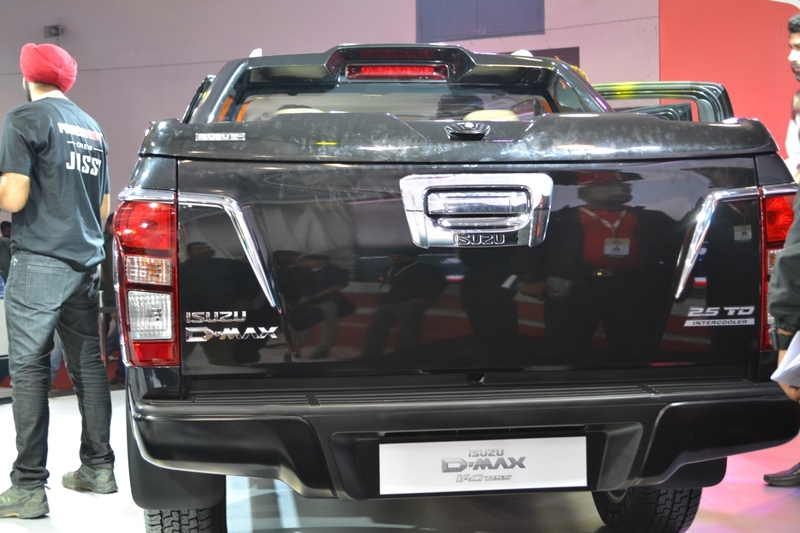 Isuzu D-Max V Cross :- Isuzu a japanese company unveiled their D-Max V Cross concept in Auto Expo 2016 in India. Isuzu Motors, the eminent japanese diesel engine manufacturer, is trying hard to get its footprint in India. The “Pickup Truck” segment never really took off with private owners. However, the commercial side is a totally different story. In India’s tiny lanes and narrow roads, it’s the likes of the sub-1 ton & 1.5 ton pickups that rule the roost. The bulk of the market is dominated by Mahindra and Tata, with their bare bones basic pickup trucks powered by anaemic engines. 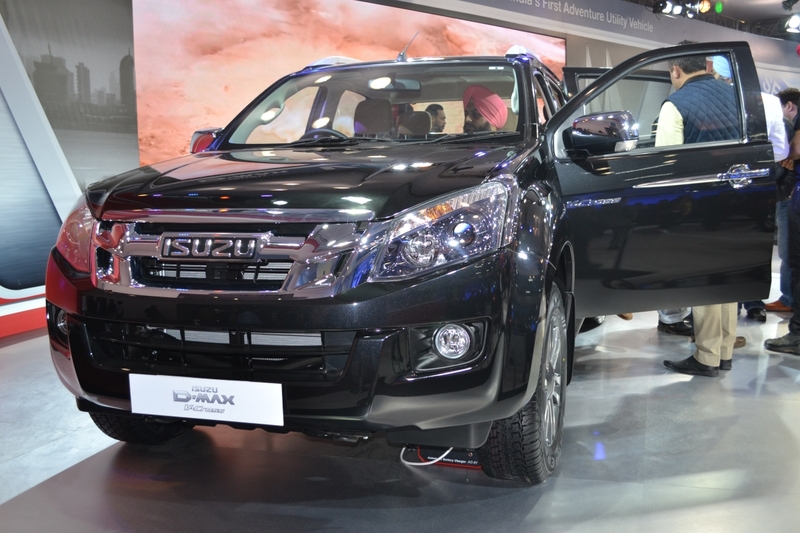 Isuzu D-Max comes with a 2.5-litre, Common rail diesel engine with turbo-charger and intercooler. The engine has 4-cylinders and displaces 2499cc while generating a decent power output of 134bhp at 3600rpm. The engine also belts out a peak torque performance of 294Nm at 1800-3200rpm. The engine is coupled with company’s traditional 5-speed manual gearbox in accordance with a single plate dry clutch. This engine is a winner in itself and performs fairly well on almost every terrain with the lagging lasting up to 2100rpm. 18. Audi Unveiled Proloque Concept Car at Auto Expo 2016 :- Audi prologue is one of the many concept cars to be showcased at the ongoing 2016 Auto Expo. Audi’s concept car, a two-door coupe, “expresses the technological competence and quality claim of the brand perfectly”. The German carmaker with four rings first presented the prologue concept at the 2014 Los Angeles Auto Show, which marks the beginning of a new Audi design language for both exterior and interior. The Audi prologue measures 5.10 meters in length, 1.95 meters in width, 1.39 meters in height and sports a wheelbase of 2.94 meters. One of the most noticeable feature is the Singleframe with four rings integrated into the car’s architecture. It also gets a large radiator grille, diamond pattern cross bars, wide head-lights with high-resolution Matrix laser technology, and flared wheel arches. At the rear, Audi prologue gets a trunk lid that also functions as a spoiler, long LED tail-lights with 3D glass, a diffuser made of glossy black aluminum with two integrated trapezoid inlets. Strictly speaking in terms of interior design, think taut lines and lean geometric forms. With that being said the Audi prologue concept car’s interior is based on Gran Turismo design; it features display and control surfaces integrated into the instrument panel. It also an innovative intelligent software program, deemed the “butler” that identifies passengers based on their smartphones and adjusts the seats and climate control system according to their preferences. 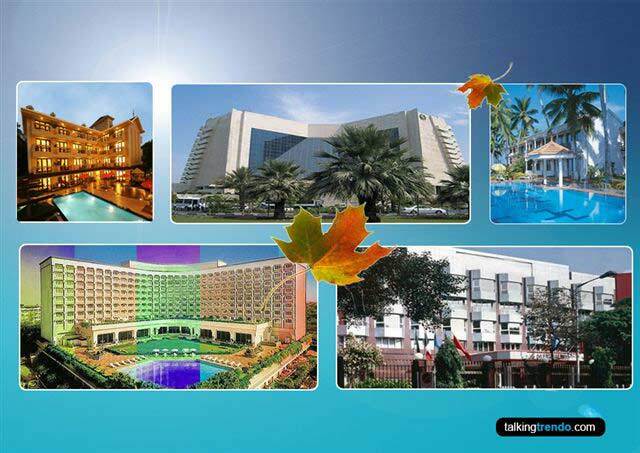 Additionally, it also makes recommendations for music and route planning in accordance to the owner’s preferences. There’s also a special mechanism that networks passengers’ smartphones to the vehicle infotainment system and charges them. Moving on to the technology, Audi prologue gets the 4.0 TFSI biturbo V8, which puts out 597bhp along with 700Nm of torque. Interestingly, the driver can call up for a boosted torque of 750Nm for nearly 15 seconds via overboost mode. Audi prologue can go from 0Km/h 100Km/h in just 3.7 seconds. Mahindra & Mahindra, the Indian car manufacturer has recently released a sketch of its upcoming project “Mahindra Xuv Aero”. Its concept has been revealed at Auto Expo 2016. In today’s era, apart from speed, mileage, engines, another important factor that matters the most are looks, the design. So today’s manufacturer are focussing a lot on designing of the car. 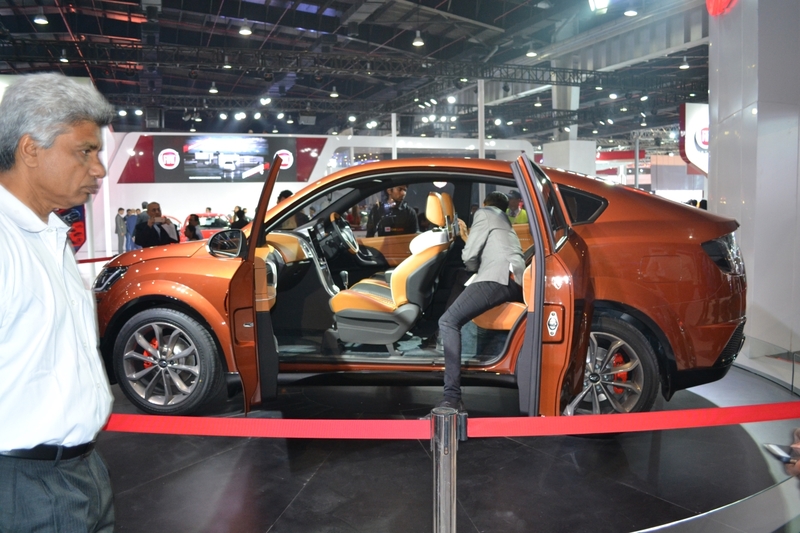 Mahindra will slot the Aero concept above XUV500 in its line-up, moreover with premium offerings available only as of now in this space, Aero concept will be instrumental in inducting a new division. The biggest attractions at Renault India's stall in Auto Expo 2016 were the two concept models of Kwid, the Racer and Climber. The jazzed-up avatar of Renault's popular hatchback received huge applause at the unveiling and during show days. Buoyed by the response, the company is reportedly planning to launch prodcution-spec of the concepts. Both concepts made their global debut at the expo and were present to showcase the level by which the Kwid could be customized. Ever since its launch 4 months ago, the Kwid has been a big hit for Renault as it has already received 100,000 orders for the little SUV-styled hatchback. Datsun India might introduce its first compact SUV – the Datsun GO Cross – in the country in 2017. First unveiled as a concept at the 2015 Tokyo Motor Show, the Datsun GO Cross will be positioned above existing Datsun range in India. Internally known as EM2, the new Datsun compact SUV will lock horns with products like Maruti Vitara Brezza and Ford EcoSport. 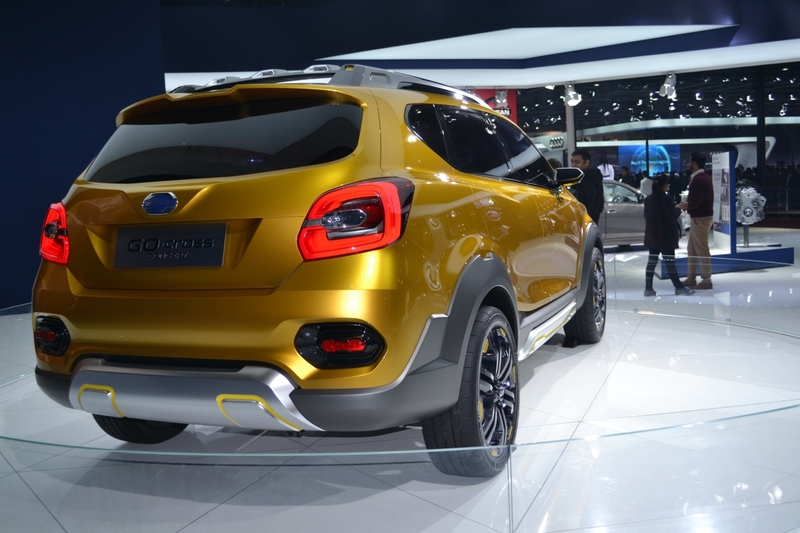 Datsun has finally brought the much appreciated GO Cross concept to India at the 2016 Auto Expo. The car is set to be the flagship model for the Japanese carmaker and will mark Datsun's entry in the growing crossover segment. 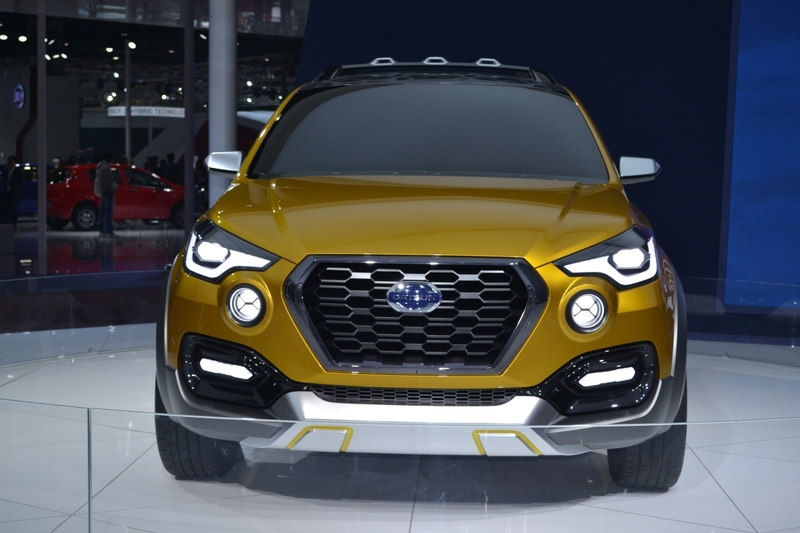 The Datsun GO Cross concept is based on the company's GO family that currently includes the GO hatchback and the Go+MPV. 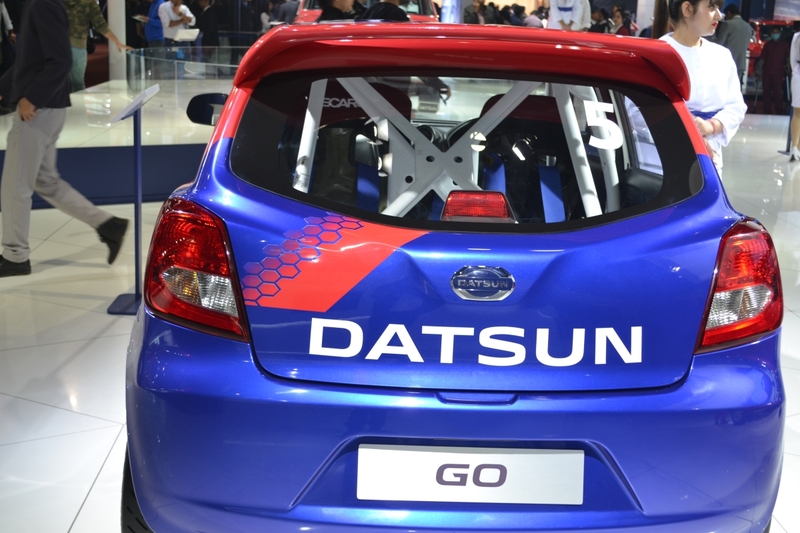 Datsun believes the GO-Cross is a symbol of its ambition. It sports a "dynamic and modern design to meet the needs and preferences of young and ambitious new age drivers". 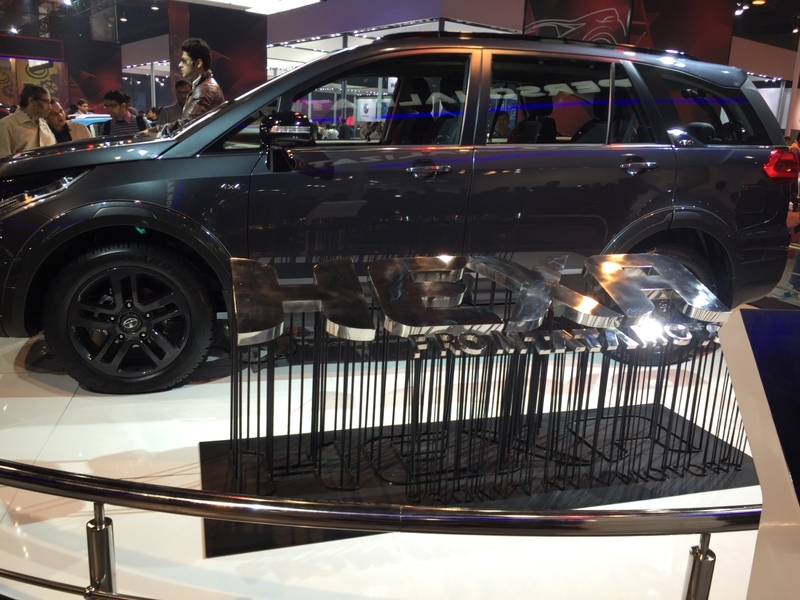 The Hexa SUV was unveiled by Tata Motors at the 2016 Geneva Motor Show. The Hexa is based on the Aria and is more of a crossover than an outright SUV. The concept features thoroughly reworked exteriors and new interiors inspired from the Zest and the Bolt. 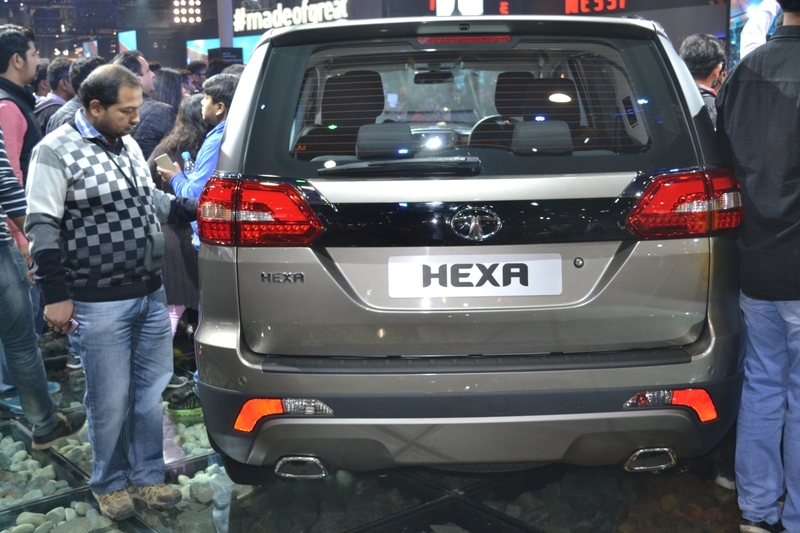 Tata Hexa launch will take place around August, 2016. The Aria turned out to be a total disaster for the company expects Hexa to turn things around. The Tata Hexa price in India is expected to be around INR 12-15 lakhs. 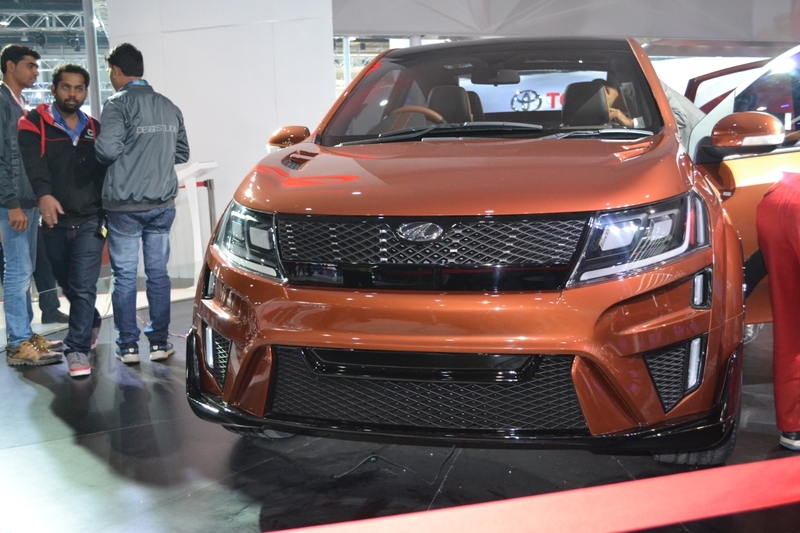 The production-spec Hexa was on display at the Auto Expo 2016 and here, we bring you all the details regarding the concept including design and engines. The 2016 Tata Hexa launch could be delayed by the SC’s decision to ban new vehicles powered by a 2000 cc + diesel engine. 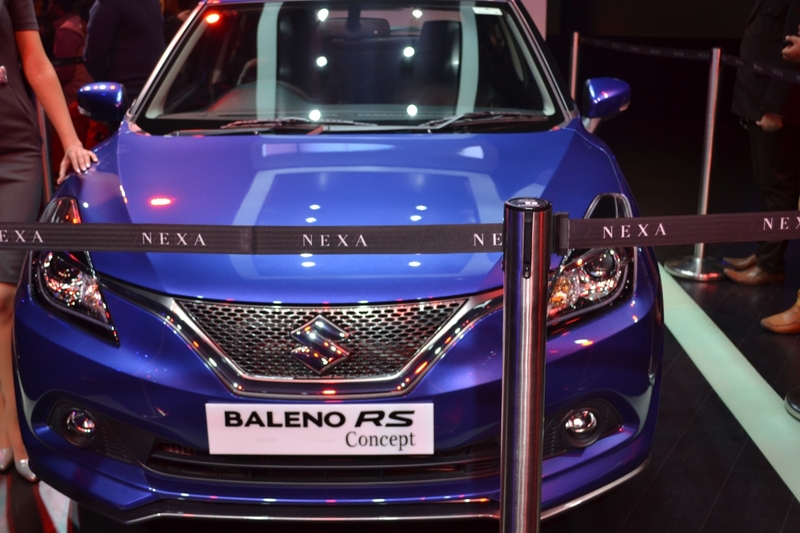 Concept Baleno RS is all set to redefine India's premium compact segment. 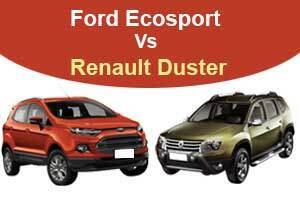 It is a high performance vehicle with the 1.0 Boosterjet engine and an even more edgy and sporty styling. The 1.0 BOOSTERJET, a newly developed direct-injection turbo engine that offers an exhilarating drive, will be a highlight of AutoExpo'16. The new engine punches far above its weight to deliver amazing power and road speed, for those who look for that additional zip in their drive. The Baleno RS will get every pulse racing as it combines a powerful engine with a bold and aggressive design language. 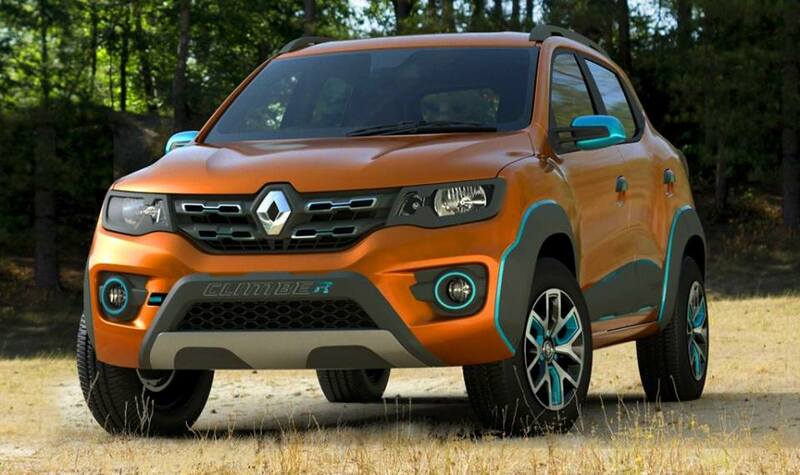 Renault used the current New Delhi Auto Show to unleash two new models of its popular KWID line – the KWID Climber and the KWID Racer. First introduced as a concept cars in 2014, the KWID has sold over 90,000 units since it went on the market in India late last year. The KWID Climber is built for off-roading with higher ground clearance, larger bumpers, side protective panels, and purpose-built tires. Although, its true off-roading capabilities may still need to be proven in real-world conditions. Renault Kwid Racer Concept Interiors With Roll Cage. The Kwid Racer, as the name suggests, is a track-focussed version. The concept features 18-inch alloy wheels, low-profile tyres, honed aerodynamics, bucket seats and a roll cage. Guised in metallic blue finish the Racer concept features wide air intakes, spoilers and diffuser that underlines performance prowess. The inside of the car features materials like Alcantara, aluminum and carbon. The racing theme is carried inside with a four-point harness in the bucket seat, digital rev counter and a leather-trimmed steering wheel in alloy frame. 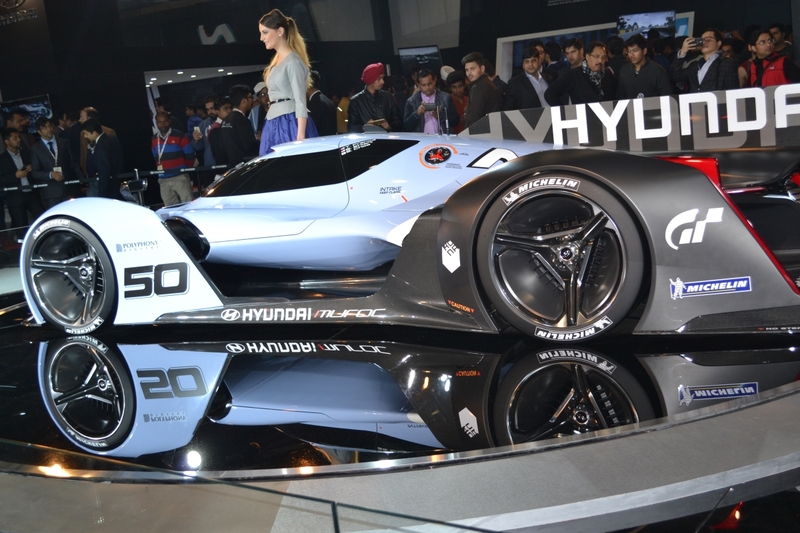 Hyundai India has revealed its new car concept “Hyundai Carlino”. 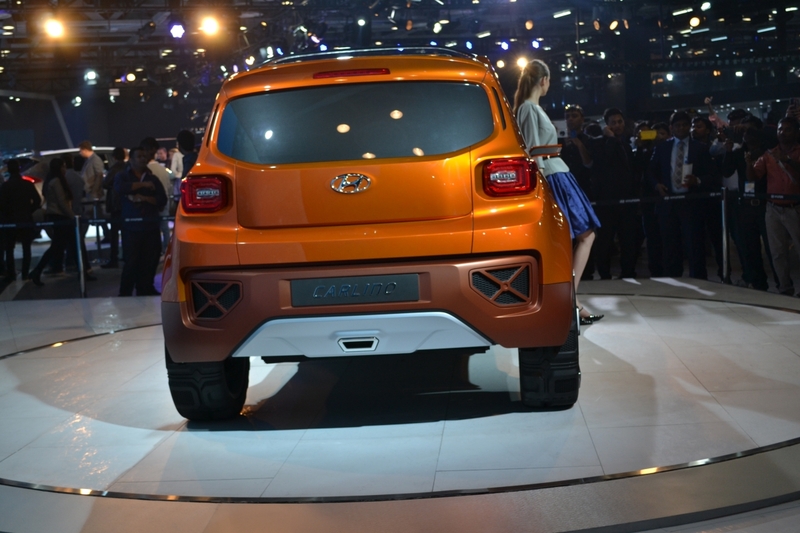 Carlino will be sub-compact SUV whose concept was revealed in Auto Expo 2016.Hyundai, in its interview said that Carlino concept was penned down at Namyang design center which is situated in Korea, and this design was made considering Indian Market. 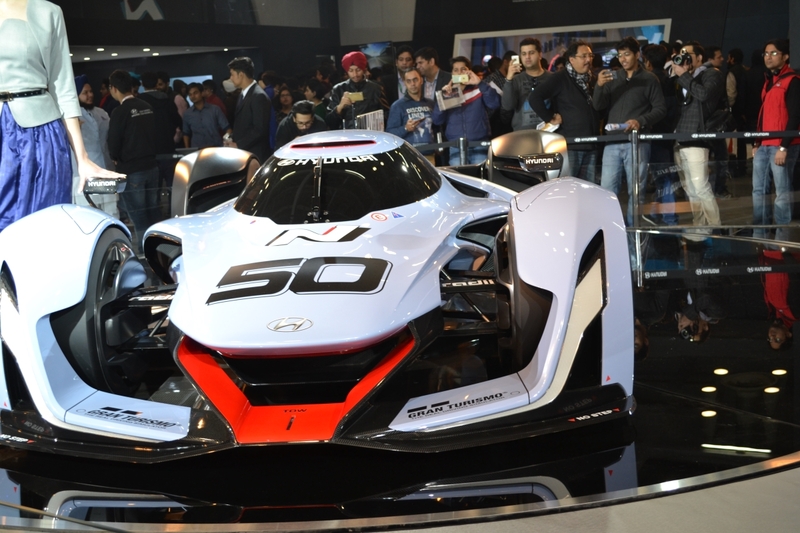 The concept was designed at the Hyundai Namyang design centre in Korea. Hyundai Carlino concept HND-14 looks quite different from regular Hyundai designs. It is a departure from their regular fluidic styling. It looks quite boxy and muscular. On the front we see the swept back headlamps but different from regular Hyundai types. The 2016 New York Auto Show featured a series of high profile debuts including the Nissan GT-R, Audi R8 Spyder, and the Mazda MX-5RF. But one car snuck up on just about everyone – the Genesis New York Concept. 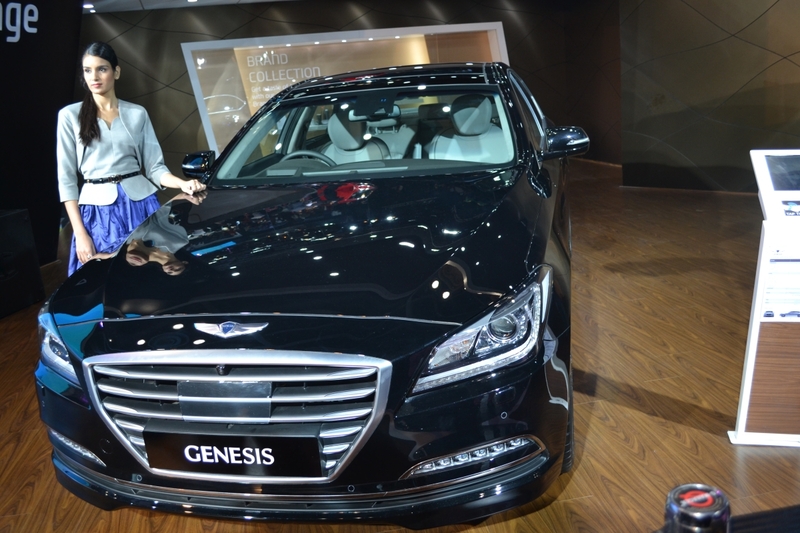 The stylish hybrid concept car is the latest offering from Hyundai's newly-launched Genesis luxury brand. "The New York Concept is a progressive concept car that showcases the design quality of the brand," Genesis boss Manfred Fitzgerald said in a statement ahead of the unveiling. "With its expressive volumes and refined design, the New York Concept truly embodies the 'Athletic Elegance,' that characterizes Genesis products and will continue to do so for future models that come from our luxury brand." In a recent trend followed by the domestic and global car markets, each auto maker is utilising a pragmatic and futuristic approach in its innovations. One such fine example of efficiency and modernism has been displayed by the prudent car maker of India, Tata Motors. 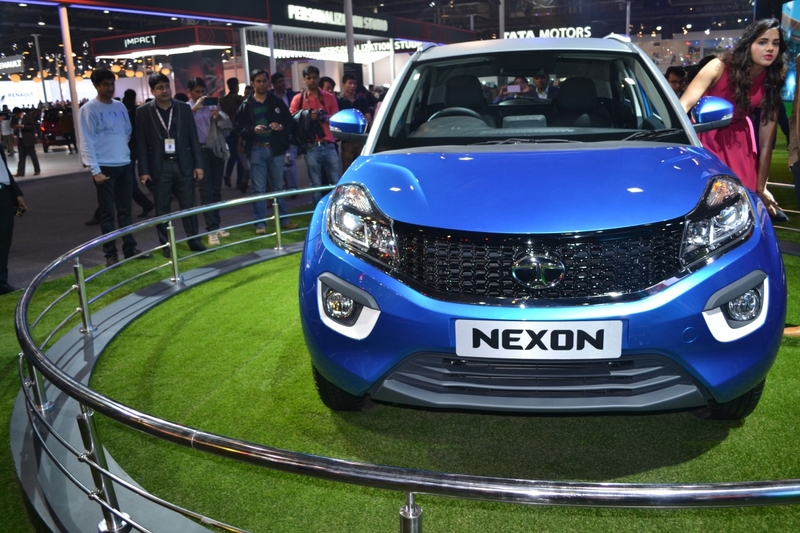 In a bid to shape the future of compact Sports Utility Vehicles (SUVs) in the country, the company unveiled Tata Nexon Concept at the recently concluded Auto Expo. The car is based on the company's X1 platform and follows the ConnectNext concept of the auto major. The home-grown car maker apparently claims that this methodology will be beneficial in better connectivity of humans with the car. The chic design and ultra-modern interiors of this compact SUV were lauded by auto connoisseurs from all over the world. Tata Nexon Concept is powered by the auto maker's newly developed turbocharged Revotron petrol engine, which is superior in both mileage and power output. Introduction:- Established in 2007, Audi India Pvt Ltd is the Indian arm of the German based company Audi AG, owned by Volkswagen Group India. Headquartered in Mumbai, Maharashtra, Audi assembles most of its cars at Skoda India’s manufacturing unit located in Aurangabad, Maharashtra. Besides, the company has its manufacturing facilities in Ingolstadt, Neckarsulm, Gyor, Changchun, Brussels, Bratislava and Martorell. The company started selling its products in India in 2004, three years before it officially set up its own sales company. Audi India’s product range comprises of premium saloons, SUVs, Coupes and sports cars. Mirai means "future" in Japan. Toyota said its fuel-cell vehicle, which is set to go on sale in California in 2015, can travel up to 300 miles on a single tank of hydrogen, refuel in less than five minutes and emits only water vapor. Honda said the production version of its fuel-cell vehicle is "anticipated to launch in Japan by March of 2016, followed by U.S. and Europe." The Honda concept is the successor to the Honda FCX Clarity. Like the Mirai, the next-generation Honda fuel-cell vehicle is expected to have a 300-mile or more driving range. The Mirai can hold a maximum of 5.0 kilograms of compressed hydrogen in two 10,000-psi carbon-fiber-reinforced high-pressure tanks, one located under the rear seats and one behind them. The launch date of Maruti Suzuki Ignis compact SUV will fall around the advent of next year. 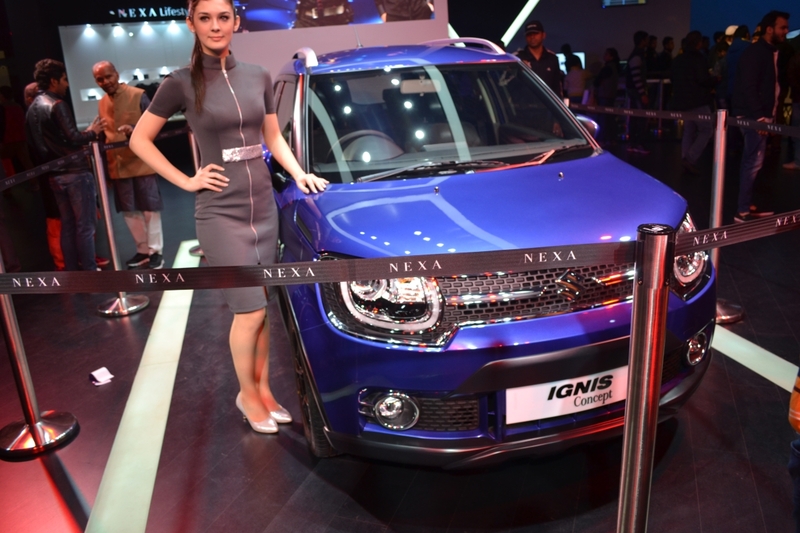 At the Auto Expo 2016, where the Ignis was first showcased to the Indian public, Maruti announced that the Ignis will be sold through the Nexa dealer network. This indicates that it will be a premium offering and the variants will bear the same nomenclature as the S-Cross and Baleno – Sigma, Alpha, Delta, Zeta. Eolab blends a petrol engine with an electric motor and is extremely lightweight – under 1,000kg – which helps it keep fuel consumption to the minimum. The car's weight is made possible largely due to the fact that Renault has used a combination of steel, aluminium, composites and roof made entirely of magnesium, to build it. 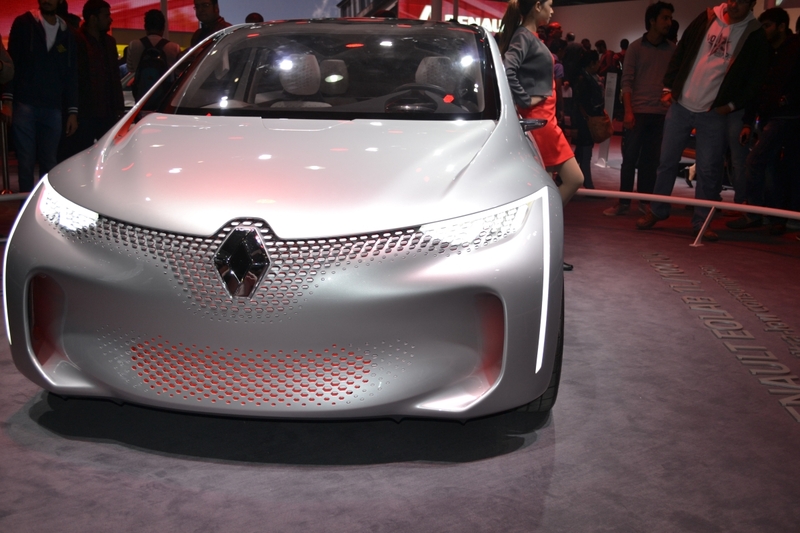 With the Indian government looking to promote electric and hybrid vehicles, and with pollution levels soaring in almost every city, the Eolab may just be the answer to prayers but currently, there is no word from Renault on when, if at all, one can see Eolab Concent on Indian roads. The concept is designed around a hydrogen fuel cell system housed within a CFRP monocoque chassis. It develops a notional output exceeding 850bhp from a combination of fuel cell stacks and a super capacitor system, delivered via four in-wheel motors. It’s designed to look as if it’s floating, says Hyundai, with a boat-shaped underbody to create downforce and air-brakes to aid deceleration and reduce drag at certain speeds. 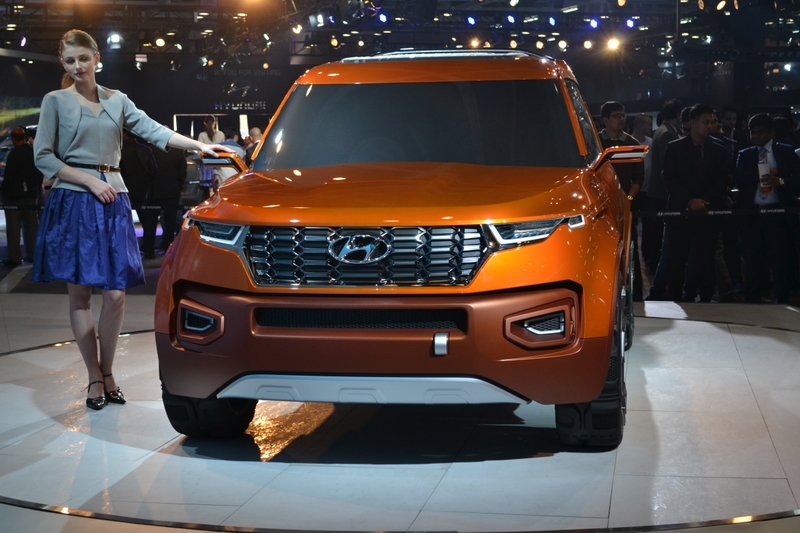 Hyundai Motor India on Wednesday showcased its premium SUV Tucson and the HND-14 concept, a sub-4 metre SUV, at the Delhi Auto Expo 2016. “Hyundai Tucson represents a significant step forward in the future of SUV line-up for the Indian Automobile market,” the company said. The HND-14 will be positioned below Creta and complete the SUV line up of the company with Tucson. Tucson is to be slotted above Creta.